For Gabe Newell, Windows 8 is a “catastrophe”, for Blizzard it’s “not awesome”; for John Carmack, it’s simply a little boring. So said id’s finest programmer during his keynote speech at QuakeCon yesterday, telling the assembled throng: “There’s nothing I’m looking forward to”. Carmack opined that while every new Windows OS in the ‘90s represented a dramatic leap forward, Windows 8 seems nonessential. “Windows XP did everything we needed for quite awhile,” he said. “Hardly anyone at id used Vista.” Windows 7 did enough “better and faster” to justify itself to Carmack, but nothing he’s seen of Windows 8 has caused him to consider another jump. 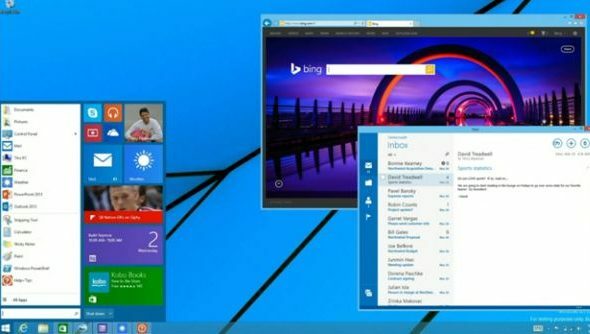 Last week Tim had a look into why exactly Windows 8 might be a catastrophe for anyone in the PC space, and concluded that closing off our most open of platforms spells death for innovation. Which is bum, obviously.